Six chapters ago, I argued that philosophical worries about the qualitative dimension of consciousness should not be taken so seriously that they trigger a scientific search for qualia, but neither should those worries be belittled or dismissed. 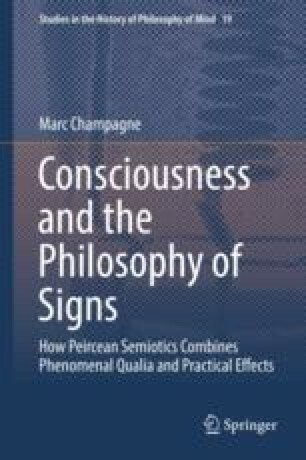 Throughout the book, I drew on the ideas of C. S. Peirce—specifically his ideas about prescission, tone, and iconicity—to articulate why/how those philosophical worries about consciousness make sense. In this concluding chapter, I summarize the resulting stance by clarifying what it can and cannot do. Philosophy of signs can show that the idea of qualia is licensed by reason. However, it cannot promise to capture such qualia by scientific means. Although artificially inspecting the incipient substructure of sign-action is in many ways a useless ability, it satisfies a distinctively human sense of curiosity and wonder.